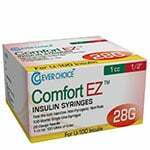 Clever Choice Comfort EZ Insulin Syringes 28G 1/2 cc 1/2" 100/bx provide the best combination of quality, comfort, and value. The ultra fine, surgical stainless steel needle of the Clever Choice Comfort EZ insulin syringe is coated with a lubricant film for maximum comfort. Clever Choice Comfort EZ Insulin Syringes 28G 1/2 cc 1/2" 100/bx provide the best combination of quality, comfort, and value. The ultra fine, surgical stainless steel needle of the Clever Choice Comfort EZ insulin syringe is coated with a lubricant film for maximum comfort. Design minimizes waste and makes measuring more precise. Easy-to-read graduated numbers minimize dosage errors. Sold in boxes of 100 syringes each. Higher Quality for Greater Comfort! 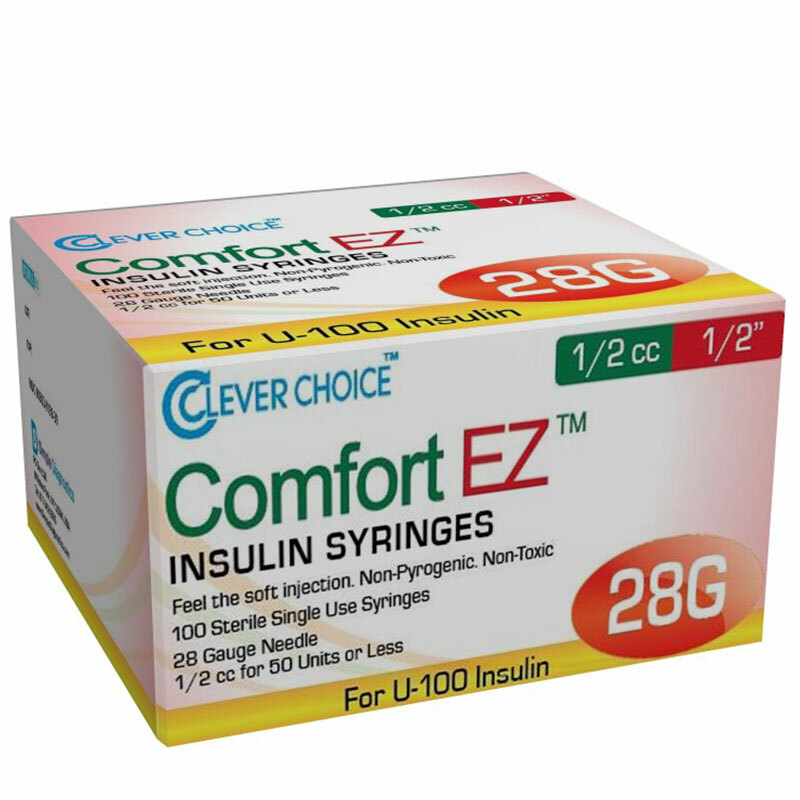 Clever Choice Comfort EZ™ Insulin Syringes are designed and manufactured to the highest quality levels possible for a production single-use syringe. High use consumers are quick to recognize this high level of quality on a personal level as they experience a more comfortable injection. The quality level found in our insulin syringes can also be found throughout the Clever Choice™ line of diabetic products.